Robert “Nat” Young was born in 1947 in Sydney, Australia. He began surfing at age 10. 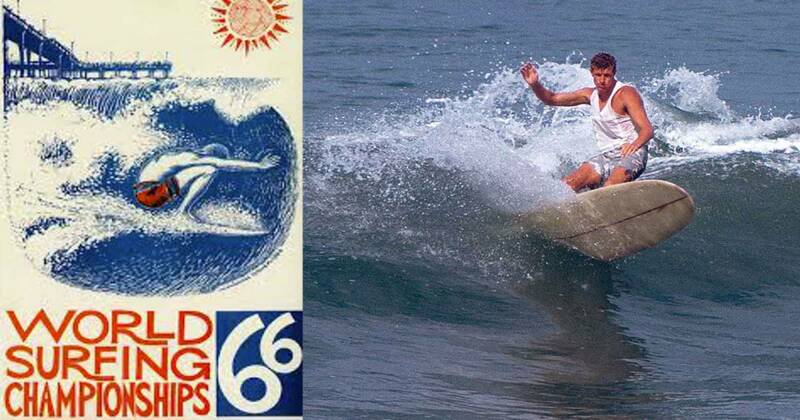 Six years later, he won the open division of the 1963 Australian Invitational Surfing Championships, as well as the juniors division of the Australian National Titles. 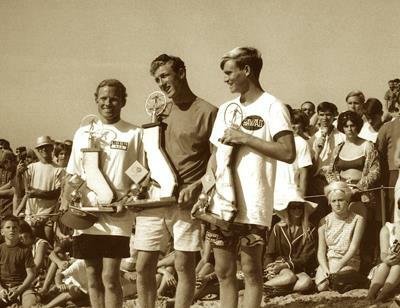 The following year Young moved up to the men’s division and placed runner-up to fellow Sydney surfer Midget Farrelly, then took second in the 1965 World Surfing Championships. Nat’s relationship with Farrelly rapidly changed from Midget being a friend and mentor to the two becoming life-long bitter rivals. 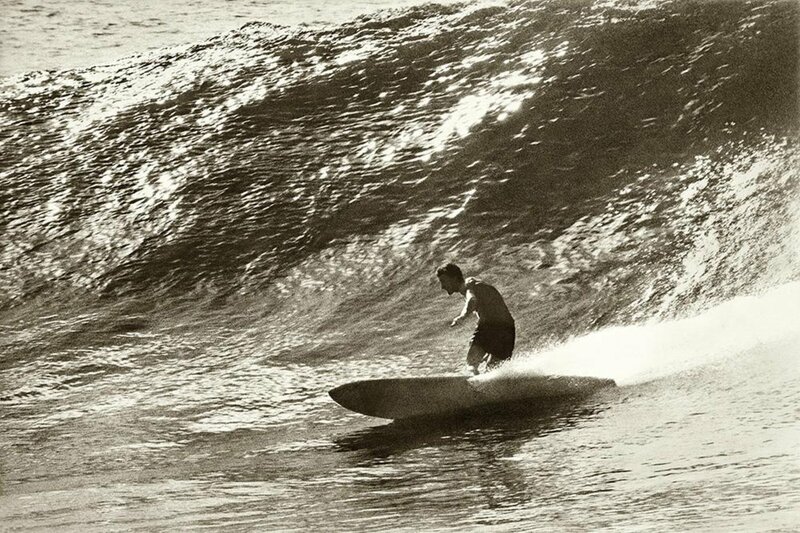 Young made a board he called “Magic Sam” in 1966: a thin 9′ 4″ squaretail with a swept-back fin designed by George Greenough. Young rode Sam to victory in the Australian National Titles, then took it to San Diego for the 1966 World Championships, where he rode to victory virtually unchallenged. 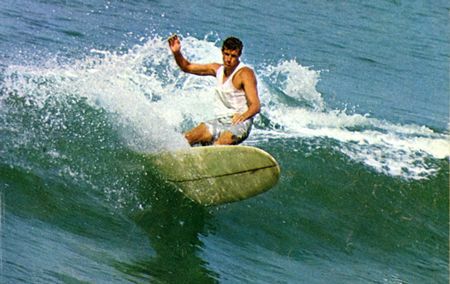 His “involvement” style of surfing was based on powerful turns in and around the curl when many other surfers were posing on the nose. Young and Bob McTavish helped initiate the “shortboard revolution” when they traveled to Hawaii in 1967 and surfed at Maui’s Honolua Bay on their wide-backed McTavish-designed “vee bottom boards.” Young’s shortboard surfing was a huge influence on the upcoming generation of Australian surfers, particularly Michael Peterson, Ian Cairns, and Simon Anderson. Young began riding long boards regularly in the early ’80s, winning the world titles in 1986, 1988, 1989, and 1990, and finishing second in 1987 and fourth in 1991. A writer since the mid-’60s, Young published The Book of Surfing in 1979, followed by Surfing Australia’s East Coast (1980), The History of Surfing (1983), and Surfing Fundamentals (1985). Nat’s Nat and That’s That: A Surfing Legend, Young’s autobiography, was published in 1998. 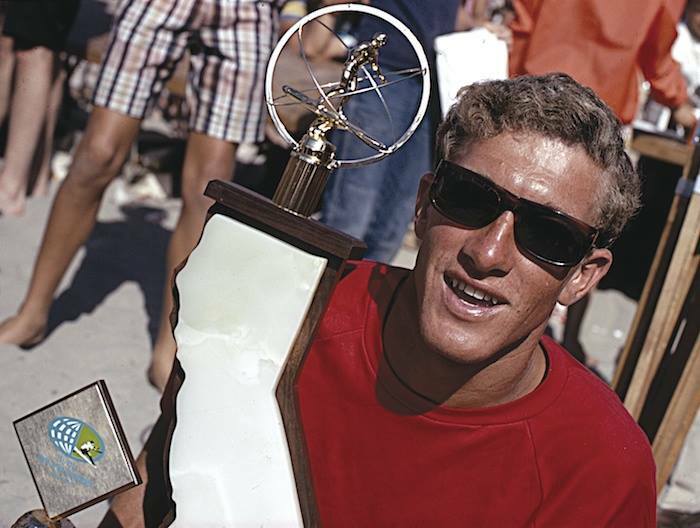 In 1967, Young won the Surfer Magazine Readers Poll Award. 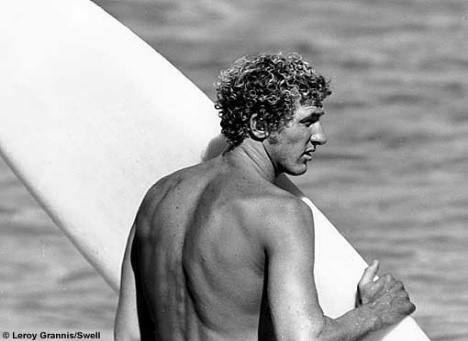 He was inducted into the Australian Surfing Hall of Fame in 1986, the International Surfing Hall of Fame in 1991, and the Huntington Beach Surfing Walk of Fame in 1996. He was included in Surfing magazine’s 2004 list of the best 16 surfers in history; Surfer also listed him at 10th in their “Greatest Surfers of All Time” feature in 2009.